Your comments and feedback have helped us to develop a list of frequently asked questions. If your query is not answered here, please email us. Reservations can be made securely on the Jurys Inn website by clicking here, by calling our Central Reservations Office in Ireland on +353 (0) 1 607 5000 and UK on +44(0) 870 4100 800 or by booking directly with any one of our hotels. All prices detailed are per room per night based on up to two people sharing. Where more than two people per room is requested an additional person supplement may apply. When booking packages, the price may also include additional products or privileges. These additional items will be highlighted in the rate description when booking the package. Breakfast is only included where it is stated as being included in the rate description. Is payment taken straight away from my card? Credit card details are used as a reservation guarantee. Bookings may be cancelled up to 2pm on the day of arrival. If you cancel the booking after this time the credit card will be charged for the first night of your stay. Please note that if you have booked an advance purchase rate (as detailed in the rate description), your booking cannot be changed, cancelled or refunded and full pre-payment will be taken from your credit card prior to arrival. In the event of a non-arrival, your credit card will be charged for this stay. Our website uses the Secure Sockets Layer protocol to protect your online transaction. Secure Sockets Layer is a security protocol that provides communications privacy over the Internet. This allows your computer to communicate with our server in a way that is designed to prevent tampering or message forgery. Your credit card number is also "one-way" encrypted as it enters our databases. We will take all reasonable care to keep the details of your order and credit card information secure but unless we have been negligent, we will not be liable for any losses you may suffer as a result of unauthorised access by a third party to the information transmitted by you when making reservations at this website. Do you require payment of a deposit? Deposits are not required for our fully flexible rates. However for some group bookings (more than 3 rooms) certain hotels may require a £100 or €100 security deposit (returnable upon checkout). Please note that if you have booked an advance purchase rate (as detailed in the rate description), full pre-payment may be taken from your credit card prior to arrival. In the event of a non-arrival, your credit card will be charged for this stay. We accept the following methods of payment: Cash*, Cheque**, Jurys Inn Gift Vouchers***, Visa, American Express and Mastercard. Unless you have paid in advance, you'll be asked to pay when you check in, so you can be sure of a quick and easy departure on the day you leave. * If you're paying by cash, we may ask you for identification when you check in. You can use any of the following as identification: current driving licence, ID card, passport, utility bill, bank statement (with address) or police warrant card. **Cheques are only accepted at some hotels. Please check with your chosen hotel before your stay. *** Jurys Inn Gift Vouchers are accepted for flexible rate bookings only. Are taxes included in the total quote? All rates are inclusive of tax. No booking fees are charged. If you require a copy of your receipt/invoice please contact the hotel directly. Please include your booking confirmation number, guest name and arrival date when submitting your request. How are currency exchange rates applied on Jurys Inn website? Exchange rates showed at time of booking are for reference purpose only, all bookings are made in local currency. When confirming payment for you booking you may be offered to pay in your local currency or in the local currency of the hotel if these currencies differ. Otherwise your card will always be charged in local currency if paying in advance or at the hotel – your card will be charged in GBP for stays in UK, EUR for stays in Ireland and CZK for stays in Prague. Any applicable exchange rates will be applied directly by your bank. We guarantee that for any hotel reservation made on jurysinns.com, you will not find a lower room rate publicly available on the Internet for that same room type in the same Jurys Inn on the same date requested! If, having made a booking on jurysinns.com, should you find a lower publicly available price, for the same room at the same hotel, elsewhere on the internet within 24 hours of booking, we will honour that rate. Click here for more details. I’m booking for someone else, how can I pay for their stay? Advance purchase rates will take pre-payment from the credit card provided at the time of booking or a Credit Card Authorisation Form must be completed so that your card can be charged when the guests check out. To request the form please contact our Central Reservations Office in Ireland +353 (0)1 607 5000 and UK +44 (0)870 4100 800. I am booking more than a year in advance? Please contact the hotels directly as rates are only available online up to 365 days in advance. I can’t find the dates I am looking for, what should I do? If you cannot find your desired dates on the website this probably means that there is no availability at that property. If you contact the property directly or our Central Reservations Office in Ireland +353 (0)1 607 5000 and UK +44 (0)870 4100 800, it may be possible to secure a final room. 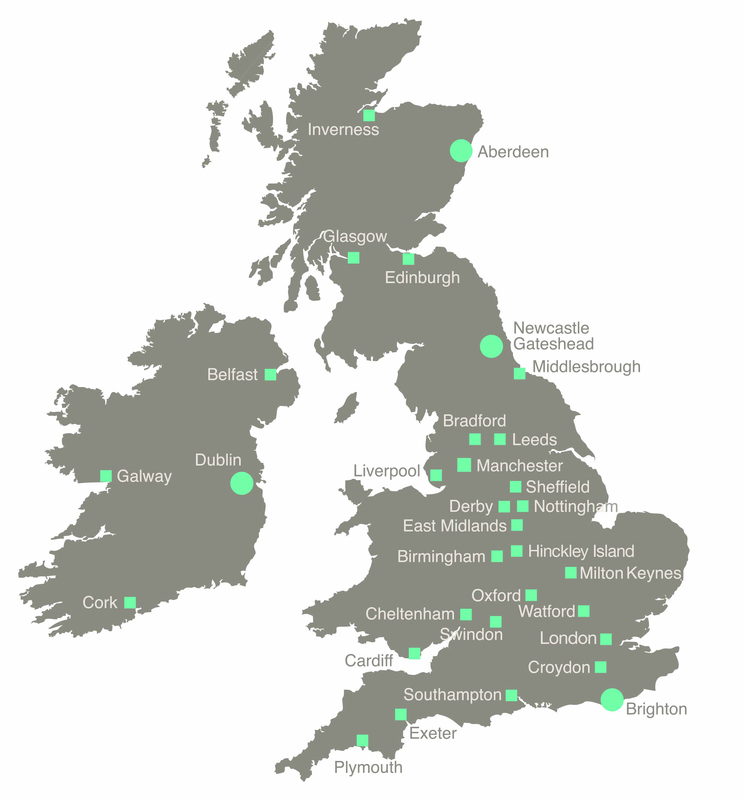 If staying in Dublin, London or Newcastle, why not check availability in the other Jurys Inns in the city. I’ve got a voucher/there’s supposed to be a sale on but the rate isn’t showing up, why? Please note all Jurys Inn special offers, sales and promotions are strictly subject to availability and some exclusions may apply. Please ensure that your booking details meet the terms and conditions of the promotion so you can avail of the promotional rate. Your booking details include hotel, date of stay, number of nights, number of rooms and number of guests. The website is not working correctly, what should I do? If you are having difficulty making a booking on the site please return to the site later that day, if possible. In instances of technical difficulty we endeavour to correct the problem as soon as possible and appreciate your patience. In some cases your browser may no longer be supported. To ensure you enjoy the best experience on all websites update your browser to the latest version. Bookings can also be made through our Central Reservations Office in Ireland +353 (0)1 607 5000 and UK +44 (0)870 4100 800. Technical issues can be reported to our Central Reservations Office or by emailing us now. When you have completed the booking process you will reach the booking confirmation page. This includes your reservation details as well as a confirmation number. You should keep a note of this number as it can be used to view your booking online. You will also receive booking confirmation by email. This will include your reservation details and a confirmation number. Please note if booking is made over the phone a written confirmation will be sent only if requested. If you have not received your email confirmation please contact our Central Reservations Office in Ireland +353 (0)1 607 5000 and UK +44 (0)870 4100 800 or email us now. Please have your booking details and/or confirmation number ready before calling. If you have booked on jurysinns.com you can simply resend the confirmation by supplying the email address used at time of booking and your arrival date in the My Booking section of our website. There is a mistake in my confirmation / I want to amend my booking. Please contact our Central Reservations Office in Ireland (+353 1) 607 5000 and UK +44 (0)870 4100 800. Please have your booking details and/or confirmation number ready before calling. Please note that we cannot guarantee that the room rate of the original booking will still be available at this time. If you have made your reservation through Jurysinns.com you can also make amendments online here. What is the cancellation procedure? Reservations can be cancelled* up to 3pm on the day before your arrival day by contacting our Central Reservations Office in Ireland +353 (0)1 607 5000 and UK +44 (0)870 4100 800 or by selecting Cancel/Amend Bookings on our website. Please have your reservation details when calling. If you fail to cancel your booking before 3pm the day before the day of arrival your credit card will be charged for the first night of your stay. *Please note that if you have booked an advance purchase rate (as detailed in the rate description), special terms and conditions apply. Your booking cannot be changed, cancelled or refunded and full pre-payment may be taken from your credit card prior to arrival. In the event of a non-arrival, your credit card will be charged for this stay. If bookings are cancelled after 3pm the day before arrival the first night accommodation will be charged to the credit card used to guarantee your reservation. Please note that if you have booked an advance purchase rate (as detailed in the rate description), special terms and conditions apply. Your booking cannot be changed, cancelled or refunded and full pre-payment may be taken from your credit card prior to arrival. In the event of a non-arrival, your credit card will be charged for this stay. What is the minimum number of rooms for a group booking? How to make a group booking? To make a group booking please contact our Group Reservation Department on +44 (0)845 3000 165 or ROI +353 (0)124 804 88 or alternatively call any of our hotel numbers and select the option for Group Reservations. You can also submit your group booking request online by completing this form. Check in time is 3pm; check out time is 12pm. What time is breakfast / lunch / dinner? Times of breakfast, lunch and dinner may vary between hotels. Details of the hotel restaurants and bars can be found on our Food and Drink page - click here and select the relevant city and property or contact the hotel directly. What are the bar / restaurant opening hours? For details of the bar & restaurant opening times please go to our Food and Drink page and select the relevant city and property or contact the hotel directly. How many children to a room? A maximum of two children can stay in a room with an adult(s). Children are persons twelve years or younger. 2 children under the age of 12 may share free with two adults at all Jurys Inns in the UK and Ireland. Cots and cribs can be selected in the Special Request section on the booking form. These are subject to availability; please make sure your request is made prior to arrival. Do children pay for breakfast? Where breakfast is included in the rate description children 12 and under eat breakfast for free, children over 12 are charged full breakfast price. Where can I find transport details? Information on getting to and from the hotel is available on the hotel web page. Please click here and select the city and hotel of interest, then select the 'map & directions' option. What is the approximate cost of a taxi from the hotel to town / airport? If your require details of taxi journey costs please contact the hotel directly. Visit the Contact Us page for hotel contact details. Is car parking available at all hotels? Most of our Inns do not offer onsite parking, however, public car parks are available near by the hotels for an additional charge. For detailed information on parking, select the map and directions option on the hotel page or contact the hotel directly. Can I leave my luggage in the reception if I arrive before check-in starts? You can leave your luggage at a secure storage at reception prior to check in, please ask our receptionists on arrival. Can I request adjoining rooms? Adjoining rooms can be requested in the Special Requirement section of the booking form. Please note that all requests will be passed to the hotel but cannot be guaranteed. Availability will be subject to demand on the day of arrival. Smoking rooms can be requested by selecting that option on the booking form. Please note that all requests will be passed to the hotel but cannot be guaranteed. Availability will be subject to demand on the day of arrival. Not all of our hotels offer smoking rooms. Can I request to have flowers/chocolates/wine put in the room? Please contact our Customer Contact Centre or the hotel directly for any special requests; these are subject to availability at the discretion of the hotel. Do the hotels accept animals? Animals are not permitted on the premises with the exception of guide dogs. I stayed at your hotel and forgot something in my room. How can I get it back? I stayed at your hotel and forgot to take my receipt. How can I get it? Our hotels can reissue receipts, please contact the hotel directly. Where should I direct a complaint? If you are unsatisfied with your experience at one of our hotels please contact us our Customer Contact Center in Ireland +353 (0)1 607 5000 and UK +44 (0)870 4100 800 or by email at customercontactcentre@jurysinns.com. You can also direct your complaint in writing to the Hotel Manager. Please click here for hotel contact details and select the relevant city and hotel. I want to speak to someone at Jurys Inns Group, how can I make contact? You can find all contact details on our Contact us page.